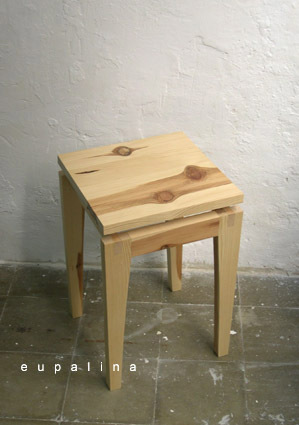 Wooden stool with an elevated seat. Made by using wood assemblies, without nails or iron fittings. 2010.